Dynaudio Celebrates their 40th Anniversary in Style! Dynaudio had their 40th anniversary last year and they didn’t just celebrate by sitting around eating fastelavnsboller! (A Danish dessert so I’m told!) They carried on their tradition of releasing anniversary speakers with the Dynaudio Special 40. Dynaudio have a history of making brilliant compact speakers but never a company to just look backwards, they have continued to innovate with their latest offering, bringing inspiration from their higher end Confidence and Evidence series drivers the new Special 40’s are some seriously impressive stand mounts. A truly great set of speakers needs to both sound good and look good and the special 40s certainly grab your attention. The cabinet is a stunning high gloss birch in either grey or red and could easily fit into either a traditional or more modern styled room. As is often said it’s what inside that counts! And there’s some very clever technology that has gone into the special 40s. The crossover incorporates Dynaudio’s unique Phase alignment and Impedance alignment technologies and is extremely accurate in ensuring the correct frequencies are going to the correct drivers, which themselves have extended frequency range and overlap to really give you that cohesive performance that is so important. Dynaudio uses the same proprietary MSP (Magnesium Silicate Polymer) material that is in many other speakers they produce as they say that it has the best combination of rigidity, stability and damping resulting in what they say is the best driver they have made yet, which is quite the claim! They also claim that unlike other materials MSP never changes, so the driver will last an exceptionally long time without sounding tired. Like all other MSP cones it is a one piece design giving it a very strong connection to the voice-coil, and plenty of stability when you decide to turn it up a bit. Behind the driver there have been many changes to the voice coil, suspension and magnet to improve performance. The new Esotar forty 28mm tweeter which has been made from scratch by Dynaudio is an intriguingly named DSR (Dynaudio secret recipe) precision-coated soft-dome. A lot of very clever engineering has gone behind it such as the new precision conduit which is shaped to allow more and better dampening it also reduces back pressure and its shape also significantly improves airflow. In our demonstration room we found that the Special 40’s sounded best about a foot and a half from the wall and slightly angled in, this of course is very much room dependent but as the speakers are rear ported they do like space behind them to stop any bass boominess. The speakers are pretty easy to drive at 6ohms and we found out even amps like the Rega Brio is capable of driving them although more power than that certainly doesn’t go amiss as we found when we went up to the over 100 watt per channel Rega Elicit-R. They also worked to stunning effect on the end of the Nytech CP202 and CPA402 pre and power amplifiers which we use for many of our speaker tests. We didn’t find the Special 40’s suited one genre over another in particular although some highlights from our listening included Audioslaves ’Like a Stone’ where the powerful voice of Chris Cornell (R.I.P) sounded huge and authoritative and Tom Morrelo’s guitar solo had an incredible 3D depth to it, sounding layered from the front to the back of the room. The John Butler trio track ‘Ocean’ showed off the incredible subtlety of the speakers which managed to show off the intricate acoustic guitar work perfectly, managing to convey warmth and detail at the same time. All through our testing we were very impressed by the low end these relatively small speakers can put out, which is both impactful and musically pleasing, they image well with even orchestral pieces allowing you to easily pick out individual instruments whilst still retaining the sense of grandness and scale. Overall the Dynaudio Special 40’s impress in both build and sound quality and will have you glued to your seat for a long time to come. They are available for demonstration in store right now so please get in touch to have a listen to these magnificent speakers. 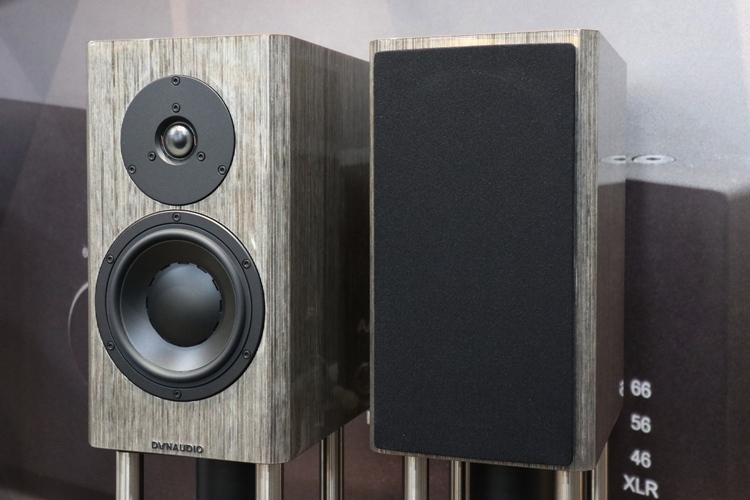 Dynaudio Products are available in the following branches: Brentwood, Brighton, Bristol, Cardiff, Cheltenham, Enfield, Manchester, Oxford, Portsmouth, Preston, Reading, Southampton, Swansea, Swindon.